Buying a home is the first most expensive investment the average American family will make in their entire life. The quality of a home is dependent on the maintenance and care given by the homeowner. A homeowner’s dream can quickly become a homeowner’s nightmare from overlooked or disregarded maintenance. Even a brand new home is under the scrutiny of deadlines resulting in sloppy workmanship. If you are selling your home, why not have it pre-inspected? It is a great negotiating tool. Perspective buyers can feel assured when the Inspection is done first. A trained professional can find problems or potential problems before they become a hazard to your family or investment. At House to Home Inspection, LLC we pride ourselves on quality service for you Home Inspection. Your Home Inspection will be documented on a comprehensive report with detailed descriptions of all areas viewed. If there are any important issues, you will know what they are and how to proceed with corrective action. Owning a home is a big step and we want to be there with you taking that first step. DO YOU KNOW ABOUT REO? REO properties are a consumer advantage purchasing costs. More people are buying REO and Short Sale properties than ever before. In this market, we are seeing the majority of our inspections as such. If your offer has been accepted you most likely are buying your property from the bank with an “As Is” clause. This means they hold no warrantees to the condition of the home. Any problem that arises, before or after you buy it, is yours. REO homes come from the bank. In most cases the bank has no disclosure laws to uphold simply because they do not know the condition of the property when they take possession of it. This is why you are in need of a thorough home inspection. You need to know all there is about the condition of your desired home. You don’t want to learn of costly surprises after you buy your home. Remember, that every home is in need of care and there is no perfect house. That’s why you need the best. I bring my extensive inspection experience and 13 years of construction experience with me on every job to you, my client. I inspect each house with the same scrutiny that I would if I was the client. This way I know my service to you is far superior then any other inspector. Many times we hear of buyers shopping for a cheap inspection. They can find them in Las Vegas. But rest assured their cheap inspection will cost them in the long run. In many cases these cheap priced inspectors only spend an hour or so at the home so they can move on to the next house. At House to Home Inspection, we are committed to giving you the best service possible. We never rush an inspection. We never do more than two inspections per day. We do this to give ourselves enough time to thoroughly inspect your home and give you a complete verbal summary of our findings at the end of the inspection. We take the time to make sure you have a full understanding about your home and what you need to do to resolve certain areas. So when your next offer is accepted hire the best. Call House to Home Inspection, where we inspect every home like it’s our own! IS IT REALLY TOO COSTLY? The average Home Inspection fee ranges between $200 and $400 depending on the total square footage of the home to be inspected (swimming pools, spas, and out buildings are extra). An Inspection consists of over 10 systematic areas of the home. You could hire an expert for each category for concerns. The cost would be staggering. Each Contractor you hire would easily charge $100 or more for his specialized Inspection. There are also coordinating issues. How timely would these Inspections be with all of the needed specialists? The Home Inspector is a Generalist and is experienced in all aspects necessary for a comprehensive Home Inspection. House to Home Inspection, LLC can fulfill your needs for the cost of one Inspection. We are licensed by the State of Nevada and insured for your protection. HOW DO I FIND A QUALITY HOME INSPECTOR? 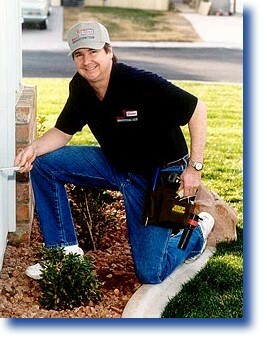 Please be aware that there are many people out there that will represent themselves as a Professional Home Inspector. In Nevada it is required that all Home Inspectors be licensed by the State of Nevada. Exposure to an unlicensed individual can be of great consequence to the inspection of your home and the safety of your loved ones. The first step to finding a quality inspector is to make sure they are certified in the State of Nevada. Ask if they are associated in any Home Inspection organizations. Make sure they are insured. Many problems can occur during an Inspection that may reflect liability issues. A good Home Inspector will have construction background in one or two trades. Ask them about their background and experience. Find out the full details of their Inspection report. Remember you must feel confident with whom you choose.